Will Sony Announce the PS4 on February 20th 2013? 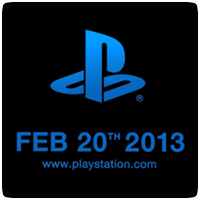 Sony has released a teaser trailer for a big announcement on February 20th 2013. If this isn’t teasing the PS4, we don’t know what is. The trailer, titled #PlayStation2013, is for the 2013 PlayStation meeting being held in New York in a few weeks time. The video gives little away, but it’s clear the meeting will focus on the future of PlayStation, including next-gen.
It’s also worth pointing out that the last time Sony has a PlayStation Meeting (back in January 27, 2011), the PS Vita (then known as the NGP) was officially revealed by Sony Computer Entertainment president Kazuo Hirai. Before that, back in 2005, Sony revealed the PS3.